Campa has a long history of crafting radiators which boast the beauty and thermal comfort of glass. The mass effect of treated glass creates harmonious heat diffusion which we have mastered in our laboratories. We ally glass with two heating elements - a surface radiant element and radiant profile element - for maximum comfort for all your senses ...We call it soft heating. 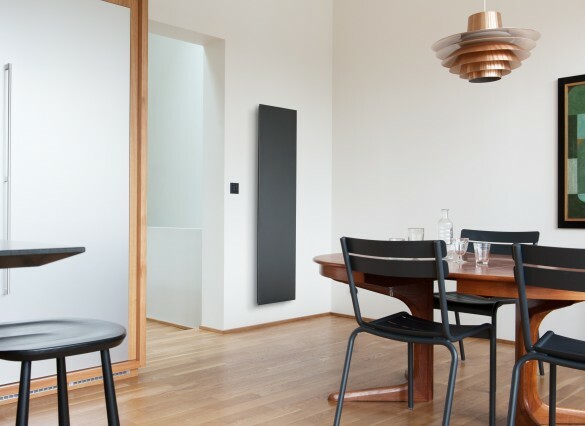 The reputation of Campa has come from the quality and reliability of its radiators, but also from its care for design. If efficiency is a permanent target, the choice of material contributes to consider these heating solutions as aesthetic references. Selected scientifically, the glass used on the facade presents remarkable design qualities and exceptional thermal capacity. Associated with efficient heating elements, embedded intelligence, latest generation sensors and simple controls, they are the expression of an uncompromising choice in perfect and unconditional comfort. Our glass panel radiators reveal a requirement that goes beyond the simple need for comfort. This material, so specific and complex to master, brings an intense and immediate visual pleasure.